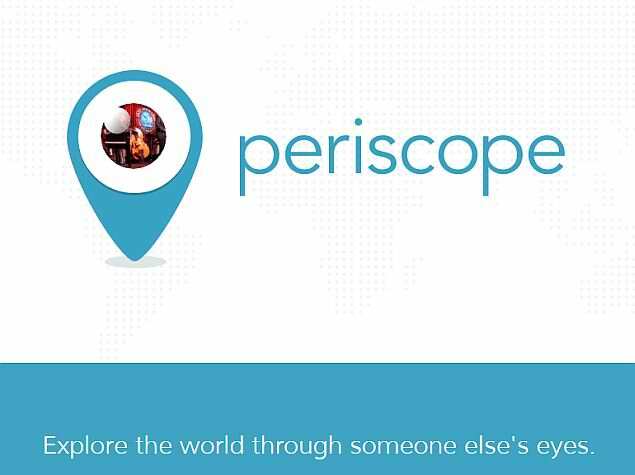 With its motto “Explore the world through someone else’s eyes” Periscope seems to have something really great to offer the Direct Sales industry. We all know how powerful videos are in the digital world and in the direct selling industry; take Youtube as an example. But with Periscope you can broadcast your videos live to your audience and interact with them in an interesting and creative way. What’s interesting is that I found Periscope to be a really effective and handy tool that digital marketers, leaders, and distributors can use immediately to improve their business, reach out to prospects, existing customers and their team better and faster, these and lots more inside this episode. That being said, I really do hope you will enjoy Periscope as much as I do and hopefully this tool can be a great asset to your business as well. 03:57 – Why do you want to know about Periscope? 05:53 – History of Periscope and what it is exactly? 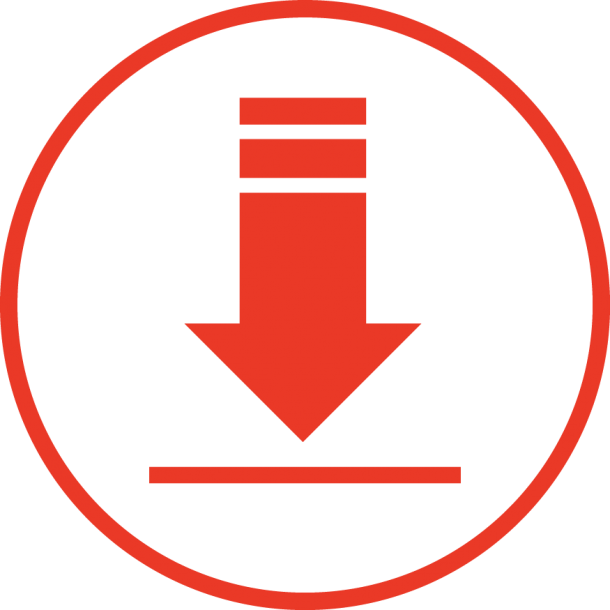 17:16 – How would you use Periscope in the direct sales industry? 19:34 – How would field leaders use Periscope with their organisation? 24:31 – What is the Action Step? I’m actually recording this specifically for the Direct Sales industry and see how they can use Periscope for their business. I used to be in the direct sales industry before and when I saw Periscope I thought, “Oh, my gosh, there’s so many ways that the industry can use it.” So I thought I would do a quick trial session. I’m going to get this recorded so then people can access it later. I just want to show you my set up here. So I’ve got my coffee here, so ready to go. I have got my Swivl, so Swivl is something that I use to do video blogging, so it’s a really cool tool. I can actually do a different session explaining what Swivl is. These are my notes for today, so I do kind of know what I’m going to be talking about, and then you can see here I’ve got my mic, just to give it a better quality of sound let me put it back in the Swivl. So let’s talk about Periscope. If you are in the direct sales business, why do you want to know this? Well, direct selling is a people business. We’re always looking for ways to be able to connect with people, faster, more intimately, more authentically. What I have noticed is Periscope is an excellent medium to do that. As you can see here we are with 13 people unplanned. So imagine if this is actually planned that will be really, really cool. People can connect and you can share with them exactly what is happening. This can really about give companies and field leaders the edge. I think that companies and organisations who use Periscope and use it well can really give them the edge to be able to get the message out there much faster, creating the excitement. This is quite exciting, you know. History of Periscope and what it is exactly? One year later they created this mobile app which basically enables live broadcasting. And the great thing is they are seed invested by Scott Belsky who’s from Adobe, so that’s how it all got started. A few months later it actually got bought by Twitter and I believe that they actually bought it for $100 Million. So obviously Twitter saw that there is great synergy between what Periscope does and their platform and they bought it and they integrate it. So I can talk about some of the features with this integration that makes it a really, really good tool. Anyway, since they launched within 10 days they have gain over 100 Million users. So you can see that it’s growing really, really quickly. In my opinion using it a few times, this is more like a webinar but a lot more interactive and it is a lot more fun, a lot more authentic. So I think it is really great for behind the scene stuff. Actually I’ve gone ahead of myself because I’m now going to talk about how a brand is using Periscope. So you can see that it’s growing really, really quickly. In my opinion using it a few times, this is more like a webinar but a lot more interactive and it is a lot more fun, a lot more authentic. So I think it is really great for behind the scene stuff. Actually I’ve gone ahead of myself because I’m now going to talk about how a brand is using Periscope. The user like I mention can take people behind the scene. So you can see this is a really good tool that you can get your mobile, you can walk around, you can show people what’s going on, so it’s great for behind the scene stuff. Also in media people use it for Q&A sessions, so you can have someone asking questions and people answering or the other way around where people can ask questions and the presenter can answer them. Like sometimes they could be on a tour, they might do it in hotel rooms, just having that interaction with the audience. The other one I’ve heard is that some authors used it to show readers where they write, showing them snippets of what they are writing. Once again kind of giving them the behind the scene on what’s going on in the creation of writing a book. Other people have used it to show live conferences, product demonstrations. If anyone have seen any other ways that people use Periscope I’m happy for you to share on how people use Periscope. I’m happy to get some other ideas if you’ve seen other Periscope sessions that you’ve joined that have been really interesting. I’d love to hear about it. I’ve seen people do Periscope where it’s just like 3:00AM in the morning and they just go, “Oh, I’m on a night shift and I’m so tired.” That’s all they say and people actually login to watch that so it’s quite amazing what people want to watch. So obviously it’s a mobile app which I showed you which works on Android as well as on Apple devices, and it really allows you to create content really quickly just like what we’re doing now. 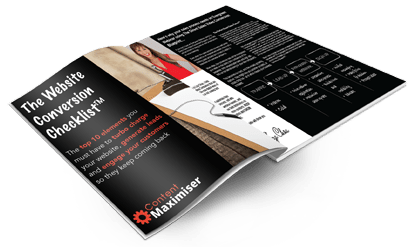 You can do it anytime, anywhere, and what I found is it shows a much more authentic way of creating content rather than a proper webinar and presentation. It’s a lot more authentic, a lot more real, a lot more interactive like what we’re doing now with the love hearts and messages, it kind of feels like a bit of an interactive reality TV, that’s what it feels like to me. Now because it is integrated with Twitter, what happens is when you start a Periscope session Twitter will actually send a notification to all your followers on Twitter telling them that you have started a Periscope session, so people can log in and join your Periscope session which I think is really cool. If you were to compare it to a webinar when you start a webinar, because it’s on an isolated platform it doesn’t have that automatic notification functionality. Now in addition to notifying all your Twitter followers it will also notify your Periscope followers. So if you build a lot of followers on Periscope and then you run a session, it will automatically send a notification and they got this really cool whistle notification and you got, “What’s this?” And then people can follow the person on Periscope and join the session which I thought is very, very cool. The other thing that it does which I think this is where you guys found me is that when you go onto the map, Periscope it’s got like the world and when you click on it, it will show you all the live Periscope session that is happening. So what it means is that it’s a great way for exposure to people that you haven’t even met before and just by going onto the map they go, “Oh, there’s a live session here, let’s see what this is about.” And then you can build some followers and I’ll probably be going to be making more of this Periscope session on different digital marketing ideas and ways to use things. This is a great way to build followers and get more exposure through social media, because of the world functionality. The other thing that it has is the love heart. I love the love hearts, it just kind of show the love. So it’s just highly interactive with the presenter and the audience. It is a lot of fun. You can do different colour love hearts as well, I don’t know whether you have played with that, but yeah it can get really colourful, so that’s really cool from an interaction stand point. The other thing that we have already tried is your audience can actually type and then questions can come up or interactions or comments. So once again it’s a great way to interact. There’s ability to share. You can swipe from left to right and then it will allow you to share your session. So the audience can actually share the session and bring more people in. So that’s another great way for your content and your reach to spread wider, it’s the ability to share live session, invite more people in. The other cool part is after the Periscope session you can actually save the recording. Because this video will only stay on Periscope for 24 hours, but after that it’s gone. So I can actually save this and I can repurpose it. I can get it transcribed, I can summarise it, I can put it on Youtube, I can put it on my website. So a great thing with Periscope is you can repurpose the content. How Would You Use Periscope in the Direct Sales Industry? So really I think to the audience if you are from corporate then that’s one way of doing it and with someone like myself who was from the field, I had all these ideas of how I could use it to communicate with my organisation. So I’m going to touch on both of them. To start off, if you are from the company side, so you could be marketing, you could be in business development, so you deal directly with the leaders or you could be an executive, the CEO, the GM of the company. So ways you can use Periscope is the behind the scenes, when you got events coming up, you’re planning for an event, you’re planning for leadership retreat and you’re giving them snippets of what’s going on. So Periscope is a great way for you to share the behind the scene things. New products coming, creating that excitement bubbling away, so that’s a great way of using it from a corporate side. The other one is mindset training. You can do mindset training, you can do a topic and you can do a session like this and you can interact with the field on your regular communication. So instead of doing webinars Periscope could be a new medium that you use to do your regular training, and it will be a lot more interactive. Q&A session, especially like with your scientific officers, and the great thing with this is this is global, right? So people from around the world can log in. So you can do Q&A sessions with scientific team, with your corporate leaders, so these are another ways that you can use it – Q&A session. Sharing promotions and campaigns, so if you’re running a promotion for this month you can use Periscope to announce it and people can share their excitement, they can share this, so it’s super exciting, so these are just a few ideas how a company can use Periscope. Well, one that I’ve already mention is the regular training. So back then we have Monday night webinars, but instead of webinars we can now do Monday night scope session on Periscope and people can log in from all around the world, they don’t have to worry about downloading software, they can do it on the go, because it’s on mobile. So it’s awesome. The other one is running home meetings and presentations, especially if they invite someone and they can’t make it, now they can actually join using Periscope and be part of the excitement. But how I would do it is when you got a presenter presenting, you have someone to actually mind the Periscope. So they can do a little bit of interaction while they’re still facing the presenter. So it was just watching the presenter for a whole hour. The other one is leadership retreat, so when you had a leadership retreat, you just got into the hotel room, you got off the plane and sharing that excitement with the field and say, “We wish you are here. Make sure to come to the next one.” And just sharing with them what the company does to look after the performance so that is another excellent way to use Periscope. Testimonial, so if you’re with someone and they have got an awesome result whether it is from the business or from the opportunity, then you can use Periscope to actually have a conversation with the person and that could be recorded and broadcast live to your organisation, so that’s a really cool one. And once again you can save it and turn it into a video later. Of course you got to be very careful about compliance and I’m sure you guys have got training on what to say and what not to say. So as long as they do within the guideline of the compliance Periscope is awesome for testimonials. Interview with other leaders at live events, so at leadership retreat you get to meet leaders from all around the world, so you can plan to do some interviews with some of the leaders that is from another country and other city, and then ask them some really cool questions so you can do live sessions like that and finally you can do like brainstorming sessions to get ideas from your team on what other topics they want to be covered in the next 90 days of regular training. They can be part of the brainstorming session and then people can just type in what they want and you just ask questions and you can take note, so that’s really cool. So these are just some of the ideas of how you can use Periscope to run a direct sales business whether it’s from corporate or whether it’s from the field. But I think it’s a super cool, super intimate and authentic way to communicate with the field that creates a lot of excitement. Downsides of Periscope In my experimentation there are a few downsides that I think is important to discuss. The other thing is that it is in portrait, so you can see that right now our video is in portrait rather than landscape, whereas in Youtube videos are in landscape. So what this means is that when I upload this onto Youtube I’m going to have this 2 black things on the side because this is film in portrait and it doesn’t allow you to do it in landscape at this stage. So that’s a bit of a downside. The other thing is the battery life. So me running this session I’m already getting lower battery. So popping up, and it was charged at 100% before. So keep in mind that you want to have your phone fully charged when you run a Periscope session or you want it to be plugged in while you’re running it. So if you want to do a longer one like what I’m doing here. And then finally is if you’re going to do a lot of Periscope sessions and saving the videos, make sure you export it into a place like Dropbox or Google Drive, because videos are going to take up your memory quickly, so that’s another thing to take note of. What is the Action Step? Anyway, I hope that this has been useful for you. If you’ve got any questions about this or any other digital marketing ideas, strategies, feel free to reach out and if you want to follow me, you can follow me @lizachoa on Periscope or on Twitter or you can go to my website at contentmaximiser.com and I look forward to hearing from you.